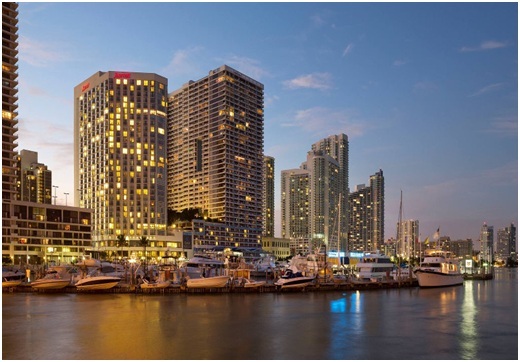 The IEEE SmartGridComm 2015 will take place at the luxurious Miami Marriott Biscayne Bay Hotel. At the intersection of the Miami Arts, Wynwood and Design districts, this high-rise hotel overlooks a marina on Biscayne Bay and is 3.8 miles from the Miami Beach Convention Center and 5 miles from South Beach. The address of the hotel is 1633 N Bayshore Dr, Miami, FL 33132, USA or click here: https://goo.gl/maps/misu4. A block of rooms with a special rate for the attendees has been guaranteed at the Miami Marriott Biscayne Bay Hotel (Single/Double Room $169.00 + 13% tax). Note that the IEEE Communications Society has a contractual obligation to fill a guaranteed block of rooms at the Miami Marriott Biscayne Bay Hotel. Significant financial penalties will be assessed should IEEE SmartGridComm 2015 fall short of the expected number of guest rooms. By staying at the conference hotel, you will enjoy the convenience of residing at the conference venue and provide valued assistance in support of IEEE ComSoc's financial obligations. The conference will be held in the Meeting Rooms at the Miami Marriott Biscayne Bay Hotel. For more information about the meeting rooms, click here: http://www.marriott.com/hotel-meetings/miabb-miami-marriott-biscayne-bay/modules/meetings/photo-gallery.mi.